The gods of Minecraft PE mods finally completed the new versions of their creations! Splash in the main menu. Slimes are dropped a slimeball. Pressure Plates can be placed on fences. Buttons can be placed on the ground and "ceiling". 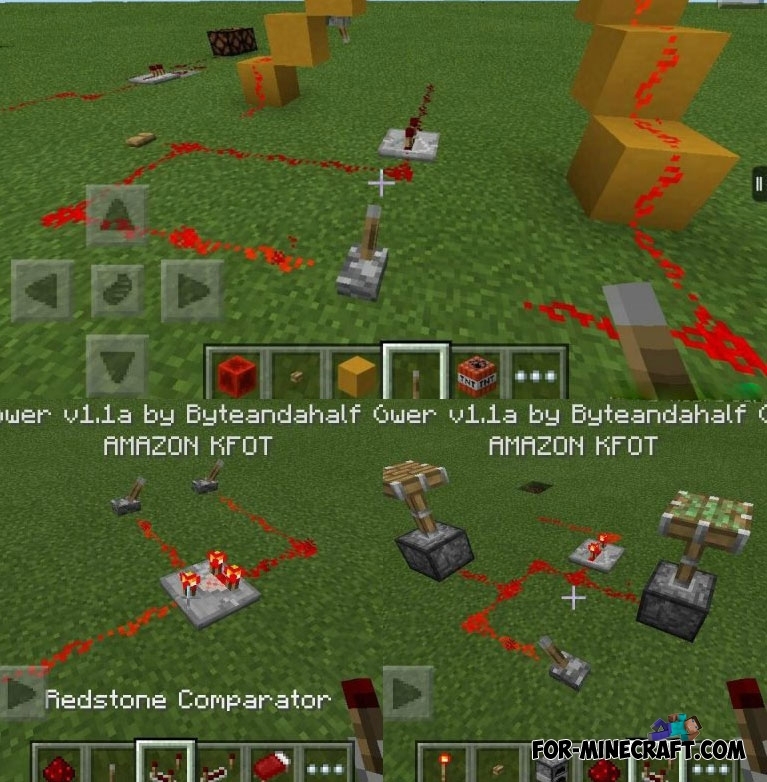 Gate can now work using the Redstone.